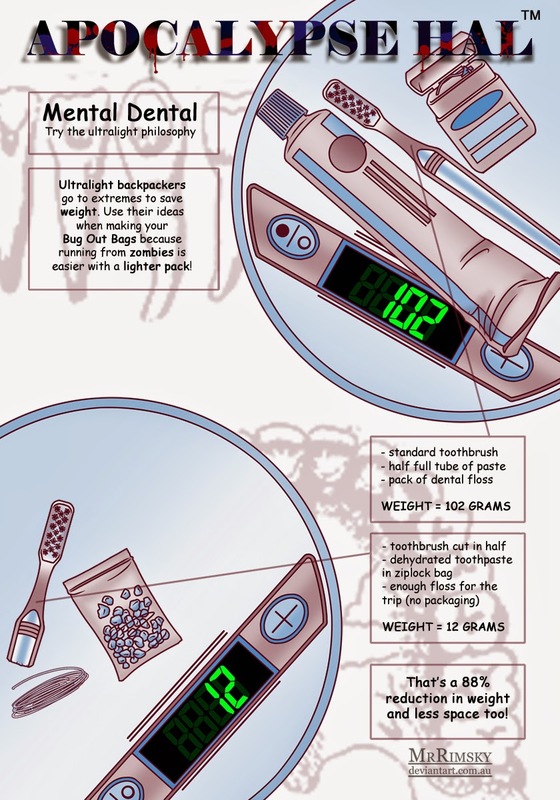 Okay, so you are not going to save a huge amount of weight cutting your toothbrush in half. But it is the principle that counts. Ultralight backpackers save most of their weight by attacking the big three, their backpack, their shelter and their sleeping system. These weigh the most. By the way, to qualify as ultralight your backpack base weight must be below 10 pounds which is about 4.5 kg. For sub-ultralight, the base weight must be below 5 pounds!